The Gaussin Manugistique Group announces the signature of two contracts with the Bolloré Group. The first deal is to market the Power Packs LMP (Lithium Metal Polymer) for Gaussin’s range of port vehicles. 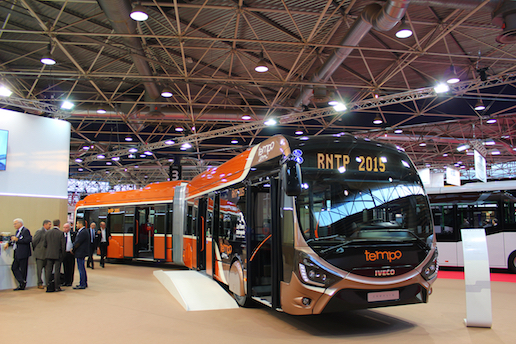 The LMP batteries, designed by Blue Solutions, the company that combines the electricity storage activities developed by Bolloré, have the capacity to operate with optimal performance even in a very hot environment. 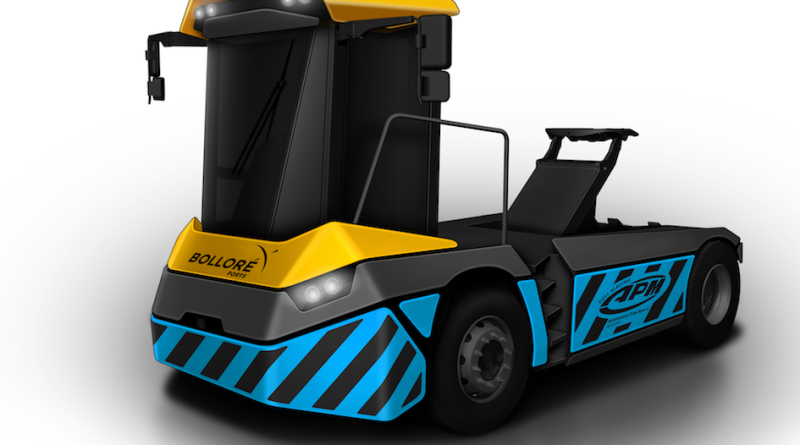 The second contract between Gaussin and Bolloré Ports concerns the co-development of the APM 75T electric tractor (equipped with two LMP battery packs) for the container transport in ports. “The Gaussin Group is proud to propose a 100% made in France range of full electric vehicles.The integration of these batteries, perfectly adapted to hot countries, provides many business opportunities, in particular in the Middle East and, of course, in Africa, a continent where Bolloré operates 20 port terminals,” declares Christophe Gaussin, CEO of the Gaussin Group. 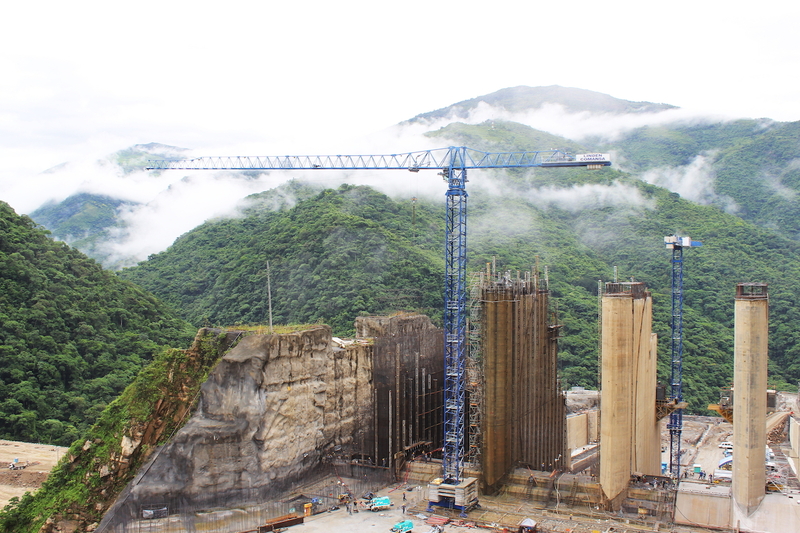 Three Linden Comansa tower cranes are currently operating on the site of the future Ituango hydroelectric power station. This plant will be intended, once commissioned in late 2018, to be the largest power plant in Colombia. 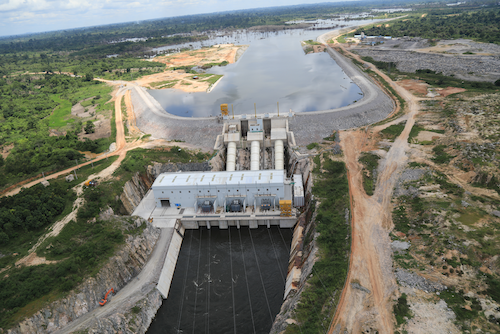 It will generate up to 2400 megawatts of clean energy, nearly twice that of the San Carlos, currently Colombia’s largest power plant with a generating capacity of 1240 megawatts. To carry out the construction of the power plant, no fewer than 3 Linden Comansa tower cranes are mobilised. The first two, a 21LC450 with a height under hook of 54,6m and a maximum load capacity of 20 tonnes and a 16LC185 with a height under hook of 59.5m that can handle a load of up to 8 tonnes, have been assembled on a folding cross base with travelling system so they can be moved on tracks installed on the ground. This configuration allows them to cover a larger surface area faster. The third crane, an 11LC160 with a height under hook of 40 metres and a maximum load capacity of 8 tonnes, has been in three different locations but still very close to the other two cranes. It was installed in an area higher than the spillway in order to be used to help build the tunnel which will provide road access to the spillway. Once this initial work was completed, the crane was mowed to a slightly lower area for the construction of two intake tunnels, which will take water from the reservoir to the machine room and turnines.